Japanese manga artist Hana Yamaguchi (Bae Doo-Na) believes eternal love is a fairy tale like device made by people. When an elderly street sweeper dies, she learns of a love between him and her neighbor that lasted sixty years. Hana faces crisis when her new comic is canceled. Hana's grandmother secretly prepares a trip for her and gives her a plane ticket to Seoul. After Hanna arrives in Seoul, she decides to search out the history of the elderly street sweeper Young-Kil and her neighbor Kumiko. 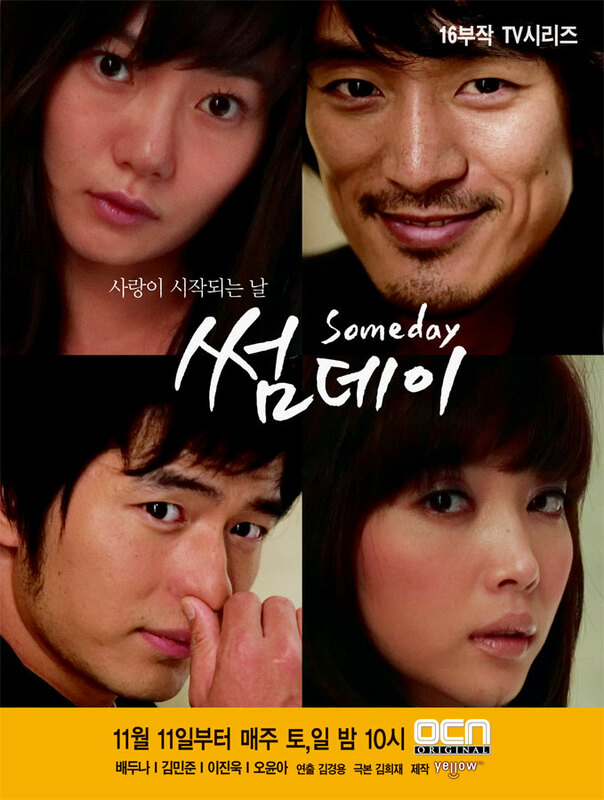 She then contacts private detective Suk-Man (Lee Jin-Wook). Hana goes to a hospital where Suk-Man is staying. When she arrives Suk-Man is with Dr. Jin-Pyo (Kim Min-Jun). Jin-Pyo is a big fan of the comics written by Hanna and feels favorably towards her. Hana rejects Jin-Pyo's favor and leaves to find the story of Kumiko and Young-Kil. Meanwhile, Jin-Pyo feels jealousy that he has never experienced before. Jin-Pyo's friend, animation PD Hye-Young (Oh Yoon-Ah), becomes interested in Suk-Man, who has an innate talent to create stories. Kris Feb 13 2018 12:12 am Had actors from various other series. Alone in Love, Childless Comfort, nine times travel, of course cloud atlas. Liked the storyline was quite different and no evil mother in law’s! Christina Aug 02 2017 7:21 pm I only got a chance to watch this drama twice before it was removed from every Korean drama streaming site in my region. So I managed to get a DVD set on ebay. I will never get tired of this drama, I've watched so many but this one was on a different level entirely. The music, the actors, the story.. SO different. This is going to be my go-to comfort drama for the rest of my life. Kaiamar Jan 07 2016 5:56 pm I love Bae Doo-Na in Sense8. Now I'm watching her other work. Very impressive actress. So glad I found this series. It is much better than the usual drama tropes. Sisca May 07 2015 9:19 am I miss Kim Min Jun oppa,,,where did he go? So long no drama again:( love Lee Jin Wook oppa as well ;)) wish you both good luck always! GBU!